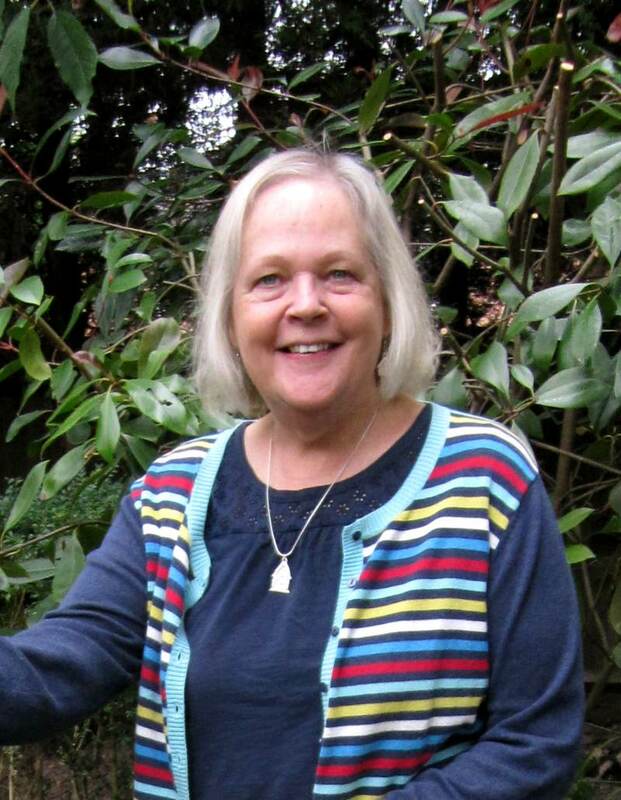 Craft of Choice: I love making things and enjoy a variety of crafts. My favourites however are designing Jewellery , Sewing, Knitting, Crochet, Papier mache and constructing my own books. How did you get into craftivism? For years I have sold work through my website, Galleries and Arts Festivals but had started to feel a bit jaded with the whole process. As a maker I would spend hours crafting, standing at Fairs or giving Galleries work on Sale or Return. It felt as if I was wasting hours of my life for very little return. I read about Sarah and Craft Activism in “Oh Comely” magazine and then bought the American book ‘Craft Activism’ by Joan Tapper. As there was no way I was going to stop crafting I began to think it would be better if what I made could make a difference. Tell us about your craftivism project/event: My first venture was to knit squares to be sewn into blankets for Oxfam who sold them at Summer Music festivals. I started Yarn Bombing and organised a large display as part of Derby Feste which went on to be exhibited at the front entrance of Derby Royal Hospital. 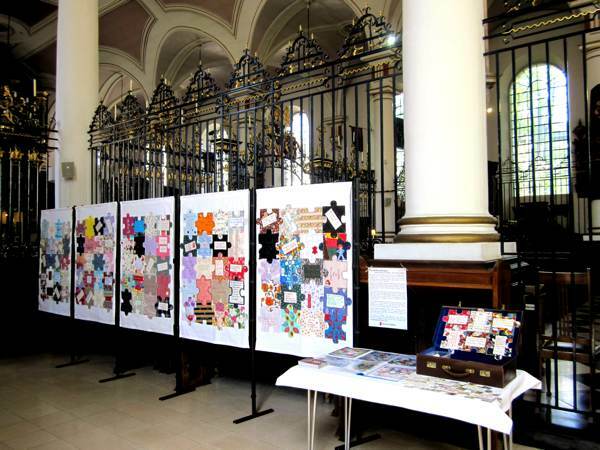 Some of the #impiece Craftivist Jigsaws Anne displayed on boards in Derby Cathedral. Anne hand-stitched them all onto fabric. It was the #imapiece Craftivist Jigsaw project that really inspired me and the Campaign was so important. 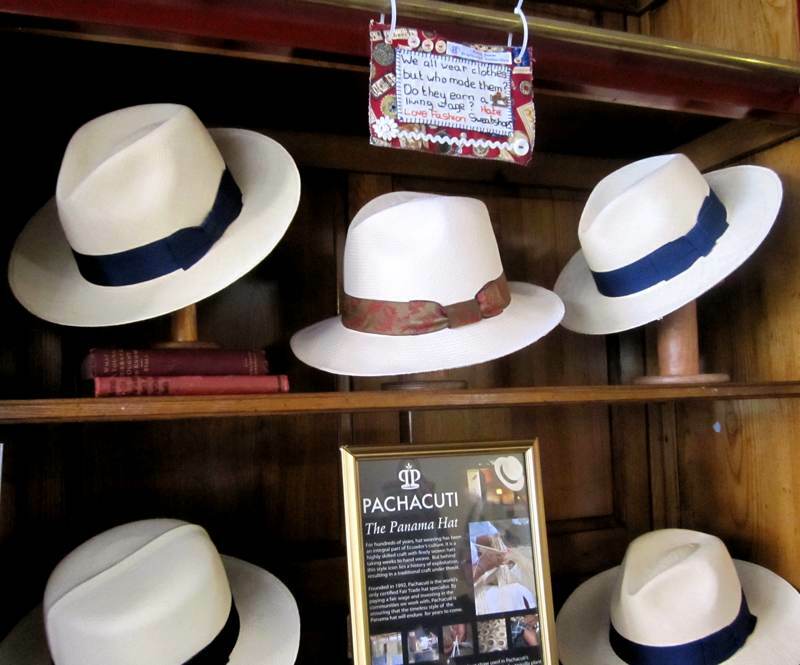 As had been suggested I high-jacked a group called Derby Makers to sew the pieces. Living in the Midlands it was not too far to attend the launch at The Peoples History Museum in Manchester and there I met Sarah for the first time. When the East Midlands Hunger Summit was being held in Derby Cathedral I saw my opportunity to have some pieces of the jigsaw on display there. As part of this I made some smaller jigsaw pieces to give to the MPs and speakers who attended. Those who saw the display were both impressed and touched by the time and effort that Crafters had taken to stitch their thoughts. To continue highlighting the issues from both of these Craftivist campaigns I am going to be part of Derby’s first Peace and Justice Festival. 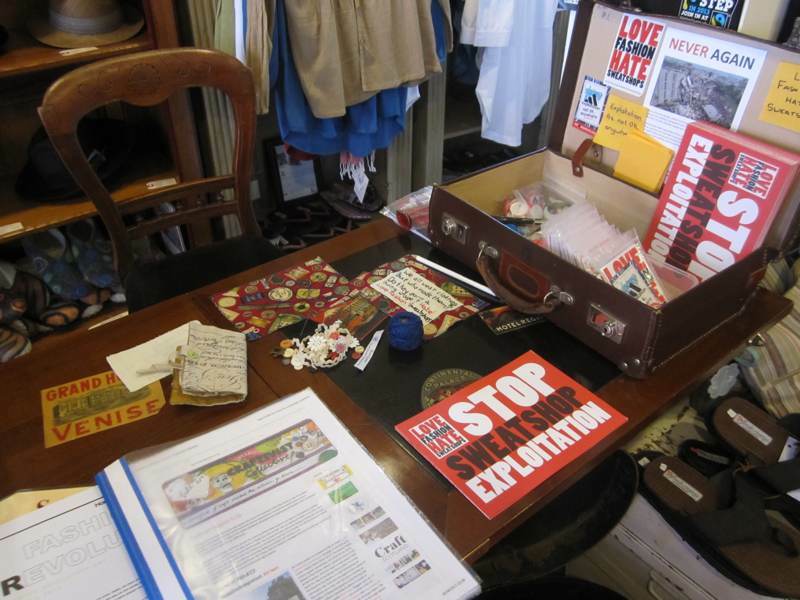 I have arranged with the local WEA headquarters that we can put up a display of about 200 of the jigsaw pieces and have information about the Love Fashion, Hate Sweatshop campaign. I contacted War on Want who sent me posters, leaflets, stickers and badges to give out. There are also postcards that can be filled in and posted to MPs to ask them to raise the issues in Parliament. To get people involved I will encourage them to make their own mini banners. On the day I plan to get people stitching or writing on pieces of fabric the size of “Post It “notes and pin these onto a larger Fabric banner. This Saturday I have persuaded an organisation called Furthest from the Sea to allow me to sit in their premises to talk to customers about Craftivism and promote the Peace and Justice Festival. 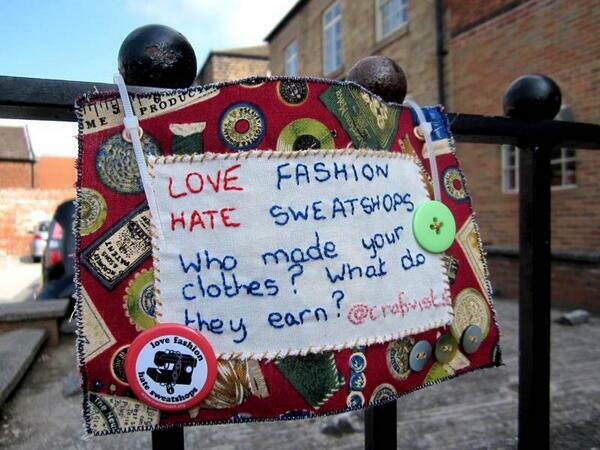 What response have you got or do you hope to get from your craftivism? The response that I have had so far has been very positive as people are interested in talking and do not feel intimidated. What were you thinking about while you were stitching? As far as I am concerned being involved with these issues through “making” has helped me to feel that I am taking a small part in changing things. How do you think that craftivism can change the world? I feel that Craftivism can make a difference because it causes people to think, especially if they are spending time sewing. It is an activity that anyone can be involved with and this campaign about who makes our clothes is relevant to all, as we all wear clothes even if the latest fashion is not of importance. Craftivist Collective is a social enterprise that relies on your support. If you enjoyed this blog post, please comment, share or repost.